This photograph has been scaled down; full resolution photograph is available here (700 by 599 pixels). 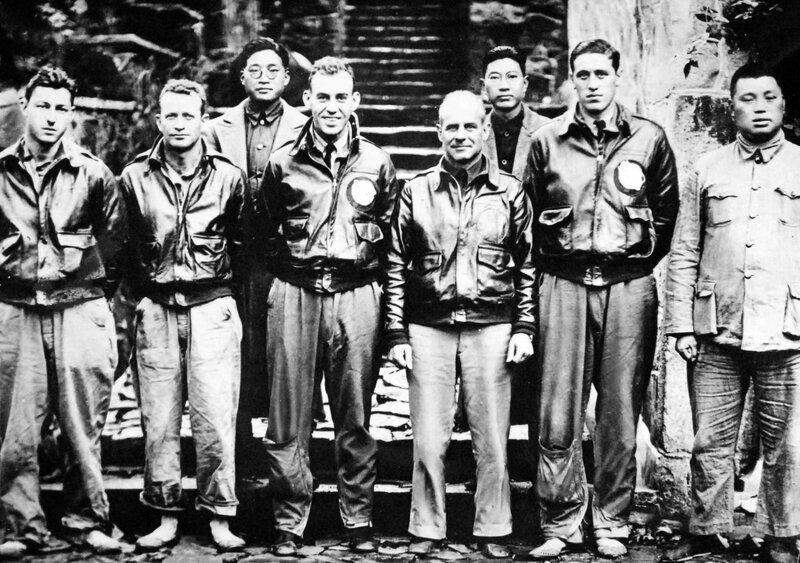 Doolittle was a Lieutenant Colonel at the time this photo was taken; not a Major General. Thank you George, the caption has been updated.